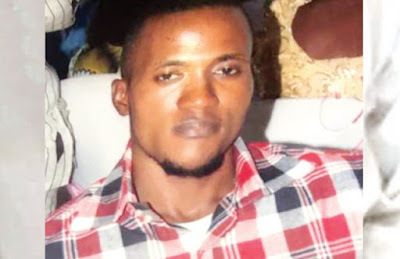 One Emmanuel Eghaghe is now on the run after he allegedly beat his mother until she stopped breathing and died. The reason behind this was because his mother had refused to give to him the sum of 20,000 for his upkeep, which is usually reffered to as, pocket money. According to reports, the 27-year-old Emmanuel had visited his 61-year-old mother, Helen, at her shop on Jinadu Street, Ajangbadi, Lagos State, on July 6, 2018 and asked her to give him pocket money which she refused to. He got angry and went violent on her. He started to harrass her and whilst he was struggling with her purse, slammed her head on the wall in the shop. She had a deep cut on her head and her mouth was gushing out blood. Seeing how badly injured his mother was, Emmanuel immediately fled the scene. “The sister of the suspect has a hotel in the community. He gave their mother a room in the hotel. She also opened a shop for the woman in front of the hotel. On that day, the suspect approached his mother and asked her to give him N20,000 pocket money. The woman said she did not have that kind of money. He pushed her to the wall and broke her head in the process. There were bloodstains everywhere and the woman eventually died in a hospital. He ran away immediately and has yet to be found. His sister was abroad and she was planning to relocate him there. A resident informed the woman’s brother and he travelled to Lagos from Benin. I was surprised why a child would do such a cruel thing to his mother”’.